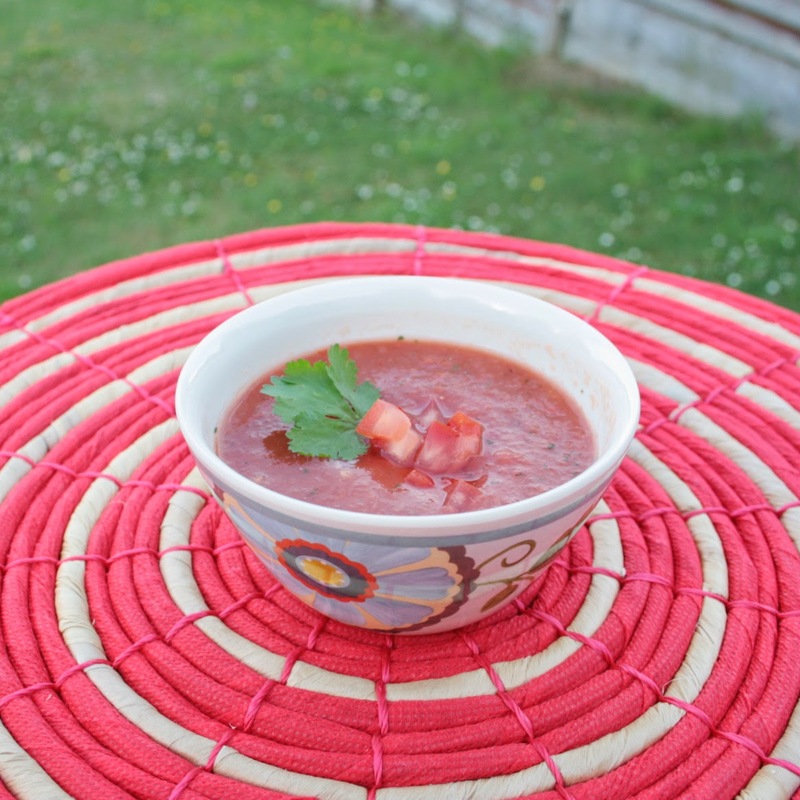 Raw veg can be a bit blah if you're eating them on their own but blitz a few up together and hey presto - gazpacho! The thought of a cold soup can be a little off-putting but please give this delicious bowl of fresh veg a chance! It's really light, perfect for summer and so nutritious! It's also ridiculously quick and easy to make. 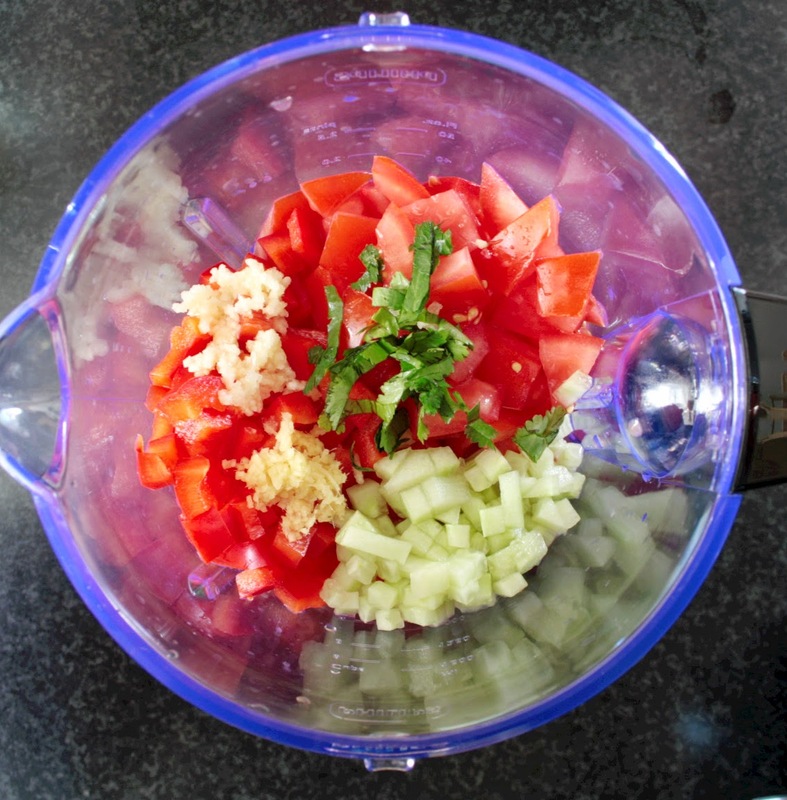 Roughly chop the tomatoes, cucumber (take the skin off first) and pepper and pop into your blender. Mince the garlic, ginger and coriander and add to the veg. Pour in the liquid ingredients and then pulse in the blender until quite smooth. 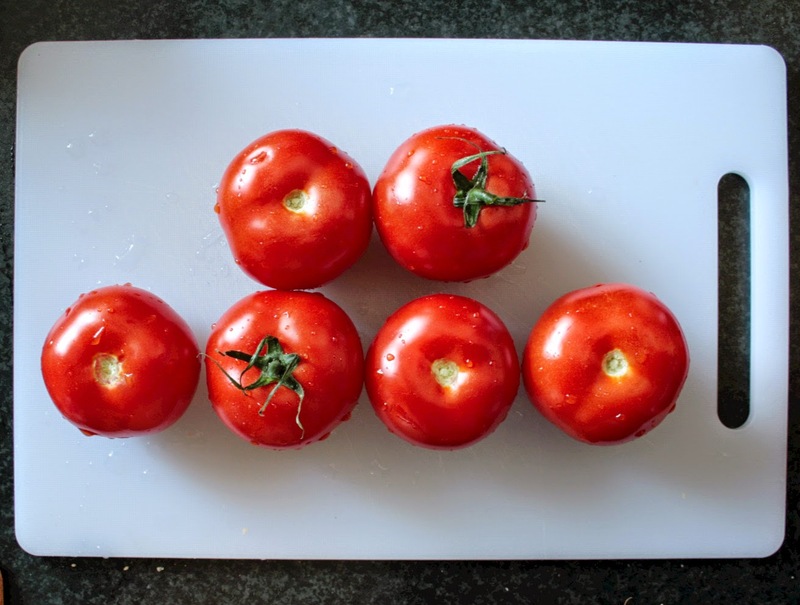 Chill for at least an hour and then serve with small chunks of tomato, pepper and cucumber. 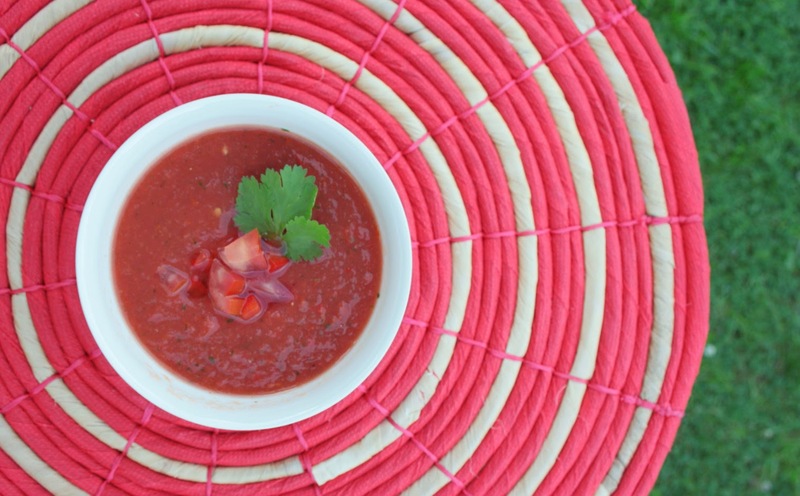 The best thing about gazpacho is that you can easily change a few ingredients to make it to your taste - use a green pepper instead of red, add more cucumber for a fresher soup, try different herbs like basil or mint, spice things up with some fresh chillies or even add bread for a thicker consistency. I've also found that the flavour improves even more when left in the fridge overnight. 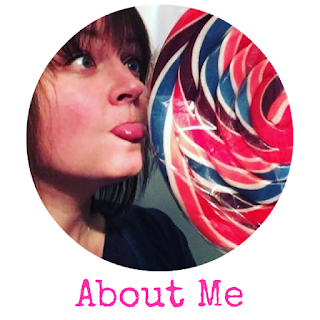 I'd love to hear about your summery recipes - do you have a favourite dish for cooling down?